Destiny and Mark’s wedding is a perfect example of how to throw a fall soiree with romance and classy style. The couple kept the details simple, but they’re done oh-so-right, from the burgundy and blush color palette to the rustic accents and intimate ambiance of The Bethwood. Take a peek at their gallery and highlight film and captured by Lin Pernille Photography below. Our favorite moment is when Destiny and Mark’s son (who was so overwhelmed with emotions) runs up to hug his parents once they were officially announced as husband and wife. SO sweet! From Lin Pernille Photography…Destiny & Mark’s relationship started long before their wedding day. These high school sweethearts grew up in the same town, went to the same schools, and even grew up on the same street. According to Mark, “the girl down the street turned out to be the one I was looking for all along.” They dated for many years, had their son Vinny, and in July 2016, Mark decided to pop the question and make it official. 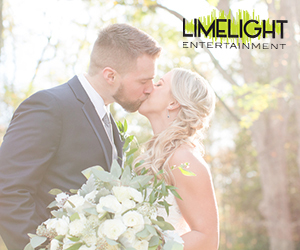 The next fall, they tied the knot at The Bethwood in Totowa, NJ in a sunny fall wedding ceremony. At their First Look before the ceremony, when Mark saw his bride for the first time, he literally shouted “oh my GOD!” and teared up. It was important for Destiny and Mark to include their son, Vinny in their wedding day. Vinny was their ring bearer and stood by his dad’s side as they watched Destiny walk down the aisle. After Destiny & Mark were officially pronounced husband and wife and everyone was cheering, their son Vinny was so overwhelmed with emotion that he ran up to his mom and dad at the altar, crying and hugging them. There wasn’t a dry eye in the crowd – such a sweet moment!